When is a garage not a garage? There’s a new house being built down the street from our rental suite. It’s a huge mega house and I wasn’t surprised to see a structure being built behind it, on the lane. 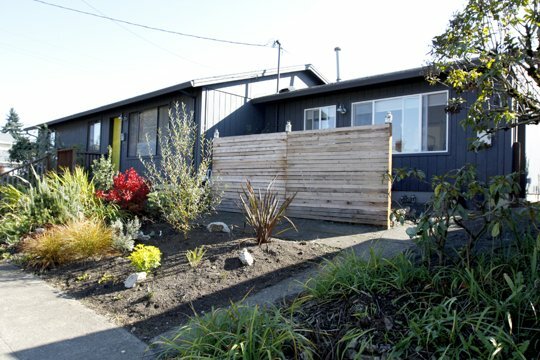 But I was disappointed when it became obvious it was going to be a garage — not a laneway house. There’s a laneway house just two doors down from it, but they decided to put cars and not people in that space. It seems such a waste to me. I would like to see that space turned over to densification. But it’s not too late! 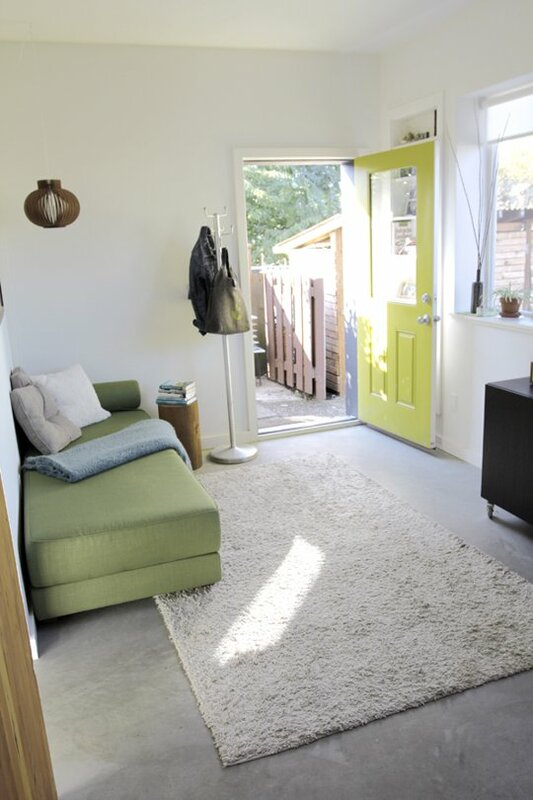 They could still do it — according to Apartment Therapy, Naomi and her husband turned their two-car garage in Portland into a lovely and liveable Accessory Dwelling Unit. It’s a great story. It is now a beautiful, modern living space modern with open plan, great daylight and highly energy efficient with many sustainable features. Highlights include re-used materials from Portland’s Rebuilding Center; 11 inch thick insulated walls which maintain a comfortable temperature range year round; radiant heating under our concrete floor; solar panels; combination washer/dryer in one; and a barn door made from reclaimed old growth fir. 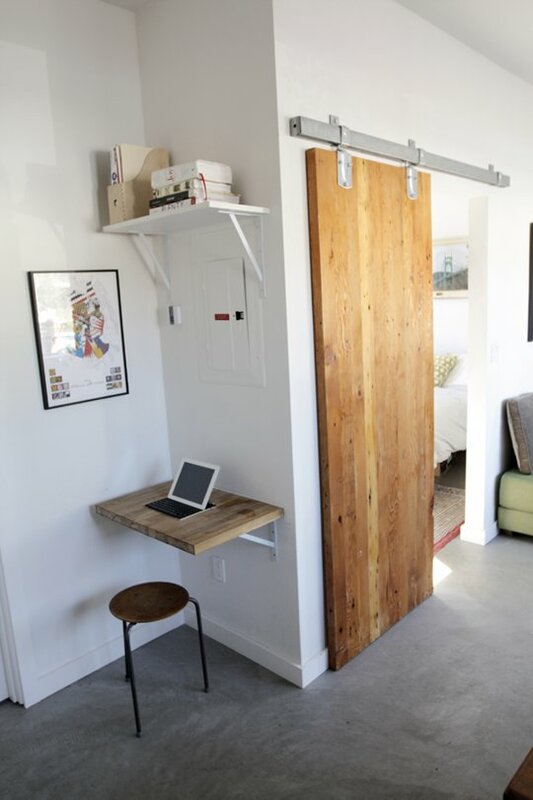 That barn door adds interest and privacy to the home while saving space. A simple shelf becomes an office with the use of a laptop. The decor is fresh and modern but keeps a cozy feel. Naomi rents out the main house on the property, and she and her husband live in the suite. The money they make/save allows them to travel. I think that’s a better use for the land — a comfortable and attractive home that fits into the neighbourhood. 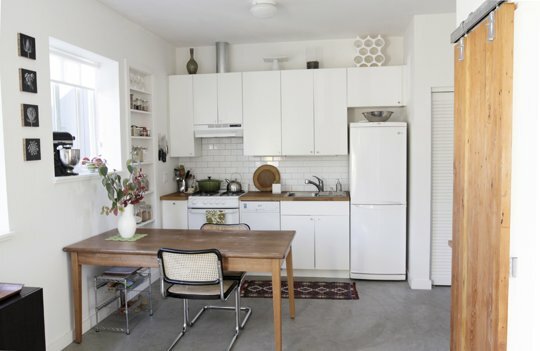 Read the whole story at Apartment Therapy. Posted in Housing, Laneway House, Small House and tagged Lane Home, Lane house, Laneway House, Small House, Small Style. Bookmark the permalink.